Teeth Whitening kits are easily accessible. They are a common choice for whitening the teeth and brightening a smile. Yet, the availability of such teeth whitening products is recent. Around 1864, Dr. James Truman was among the first to successfully apply a means of whitening or bleaching discolored teeth but, it did not spark a wave of over the counter (OTC) methods. Much later in the 1960s, William Klusmier accidentally discovered the whitening side effects of carbamide peroxide on a patient’s teeth. After presentations at several dental conferences, two other dentists, Dr. Van B. Haywood and Dr. Harald Haymann, picked up and further explored his findings. Together, these two dentists co-authored several articles on vital bleaching and systems such as the Nightguard vital bleaching kit. The work by Hayman and Haywood coincided with that of John Munro. It was his work, with Omnii International (USA), that resulted in the marketing of the first teeth whitening product for home use (granted under dental supervision). What Are OTC Teeth Whitening Products? OTC whitening products are teeth bleaching products sold for unsupervised, at-home use. The sole purpose is to whiten teeth. Bleaching products may consist of whitening strips or teeth whitening gel. Brushes and gel pens are also potential choices for teeth whitening. They may come alone or as part of a kit. Bleaching kits are one choice. The major component of these items is the tooth whitening gel. The active agent, usually hydrogen peroxide, is conveyed to the teeth through the wearing of a tray, strips or mouth guard. The mouth guard or tray tends to be generic. 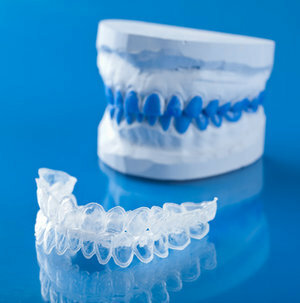 It is possible, however, to purchase flexible and/or made-to-order mouth guards or trays. Essentially, whitening products work by bleaching the teeth. In doing so, they remove the stains and discoloration. In a dental office, the high concentration of the bleaching agent – hydrogen peroxide or carbamide peroxide, is responsible for the removal of stains. The addition of other agents, such as light, will speed up the process. 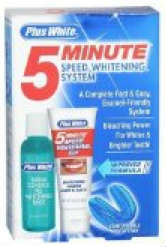 As a result, immediate whitening may occur within an hour. At-home, the process does take much longer. Although the same whitening agents are used, the concentration is lower. 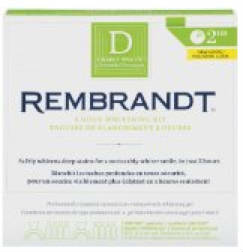 As a result, products such as Crest Whitestrips, Sheer White and Rembrandt Whitening Strips take longer to achieve the desired result. The same applies to teeth whitening gels, gel pens and other forms of whitening products. Overall, the individual procedures may take from 30 minutes twice a day to all-night. The whitening is not instantaneous but may take as long as several weeks for any noticeable improvement to occur. How much the purchaser had to do to achieve whiter teeth will depend upon the type of product selected as well as the characteristics of the individual’s teeth. The same also applies to how effective these methods may prove. 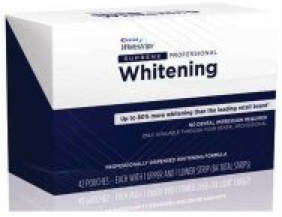 The American Dental Association (ADA) continues to monitor the growing market for teeth whitening products. While insisting, rightly so, for a more uniform definition. On their website the ADA notes the following: "The level and type of active ingredients, the form of the product and how they are applied may vary widely." The association and various studies do indicate the safeness of the products. There is one proviso. It is essential to follow instructions. In addition, professionals, such as Dr. Haywood, strongly believe it is necessary to consult a dentist before using any teeth whitening kits. This will decrease any potential risks. 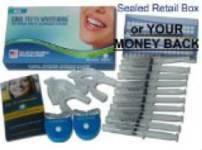 Teeth whitening kits potentially offer an inexpensive way to brighten our smiles. Do follow instructions. It may also be a good idea to talk to a dentist first. This will insure the right choice. This will help to decrease any potential harm from misunderstanding and improper usage.